American anti-gunners area lamenting the fact that New Zealand is responding so quickly–progressive code for “knee-jerk reaction”–following the massacre at Christchurch, New Zealand. 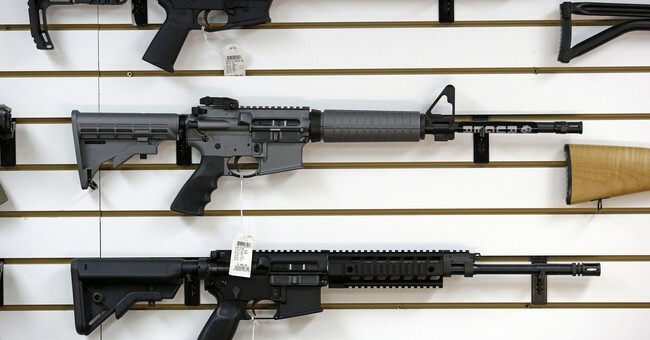 While the United States is still debating gun control post-Parkland, New Zealand is already moving to restrict so-called assault weapons. There’s been a lot of talk about the difference in systems, and that’s perfectly accurate. The American system has a number of points where even a minority can sideline a bill permanently while New Zealand’s system is quite different. There, the ruling party controls not just their parliament but also the prime minister’s office. That allows laws to pass rather smoothly. But that’s not the only difference. There’s a big difference in how easily New Zealand gun owners will roll over. New Zealand will crack down on firearms ownership this week after the Christchurch mosques massacre that claimed 50 lives — and the Kiwi gun lobby, for the most part, is okay with that. In stark contrast to the United States, where even the most minor curbs on gun ownership meet ferocious opposition led by the National Rifle Association, New Zealand gun owners agree action is needed. The March 15 rampage by a white supremacist gunman has been a shock to the collective system. “We want to support our government in any changes to prevent a terrorist attack from happening in New Zealand again,” Nicole McKee, secretary of the Council of Licensed Firearm Owners said. Note to American anti-gunners: Never gonna happen here. Unlike our New Zealand brethren here, we’re not about to roll over. We, unlike them, understand that the issue is a people issue, not a gun issue. Oh, I’m willing to grant that this is the first time a mass shooter wouldn’t have used another weapon if he hadn’t been able to get a gun. For once, I can buy that argument only because his own manifesto argues that he wanted to trigger gun control here in the United States. Kind of hard to do that with a bomb. But in most cases, the killers are just wanting to slaughter people. Take away the gun and they’ll simply turn to another weapon. We know this. We understand this. As such, we’re not willing to roll over and render ourselves defenseless. We did nothing wrong, so why should we be punished? More to the point, why should we support other people punishing us for the actions of another? Of course, this is also from a gun owners group. It doesn’t necessarily mean it’s speaking for all gun owners in New Zealand. I suspect there are quite a few gun owners less than pleased at their supposed gun rights group right about now. They’re probably feeling a little betrayed, and for good reason. At the end of the day, this is the fundamental difference between New Zealand and the United States. We have groups that will fight for our right to keep and bear arms, while New Zealand as bootlickers disguised as gun rights organizations.